Sustainable Technology » green-power - Leadership in the efficient use of computing resources. via Data Center Dynamics: I/O virtualization. … “The planned integration will enable customers to access a real-time data feed to all power and cooling equipment in the data center via the Nimsoft Monitoring Solution, which collects data from electrical units and produces a variety of Green Grid Metrics. 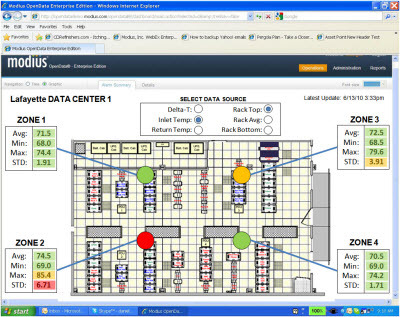 Via Modius: Integrated Data Center Management. 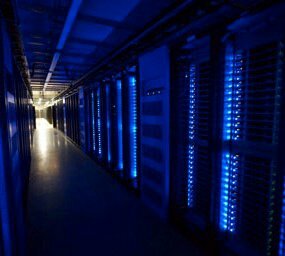 … “HP Intelligent Power Discovery: Eliminates over-provisioning in the data center: Accurate and timely power usage data and control can save companies millions of dollars in data center energy costs. HP Intelligent Power Discovery is an industry-first advancement for green data centers that creates an automated, energy-aware network between HP ProLiant servers third-party facility management tools and data center power grids. Expanding on HP’s Data Center Smart Grid solutions, the software provides greater transparency and insight into power usage by creating a real-time, graphical map of energy usage across servers and facilities. … “Under the partnership, SDSC and CLUMEQ/McGill University researchers will design and build a business case and a conceptual design for a jointly-managed, ultra-efficient data center to be built in Quebec, which has an abundance of green hydroelectric power and an ideally suited cool climate that can provide free cooling to the data center’s high-performance computer systems for much of the year. Via SDSC: Green Data Center (Link). Via Keysource: Petroleum Geo-Services (PGS) data centre case study (PDF). Petroleum Geo-Services (PGS) offers a broad range of products including; seismic and electromagnetic services, data acquisition, processing, reservoir analysis/interpretation and multi-client library data. Via InfoWorld: Cow Poop Put to Use ….